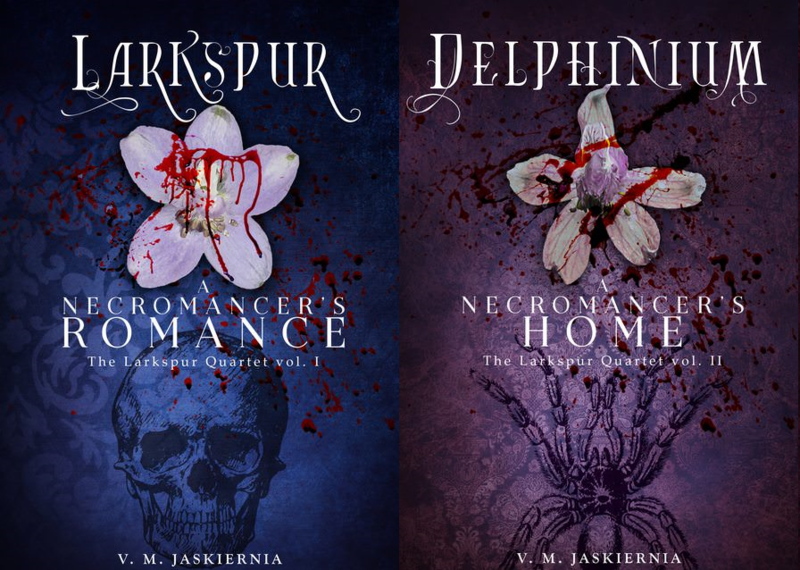 I think the Larkspur series is going to have to be a trilogy. I said 6 books near around the start, having planned out two main arcs which I thought of as two trilogies. Now, I’m not getting rid of the second arc, but it just won’t be in the larkspur set. These first books are about Pierre and Lizzy and their love story. The second arc brings in far more characters, far more politics- and it just wouldn’t work being called the second half of this series. It’ll be its own series is all. This doesn’t change much with my writing plans. After book 3 I’ll bundle the set as a trilogy, and work with Ophion’s prequel book as well as the start of another series. After the second Clandestina series is more fine-tuned I’ll start writing that. I have a lot of stories, for a lot of characters and places. Hopefully it’ll be a long and great career. EDIT: Now that I’ve said that aloud, I’m not entirely sure if the first arc will be done in a trilogy. A quartet might make more sense. Would be wonderful to start being a writer off with a quartet like one of my favourite authors, Tamora Pierce.